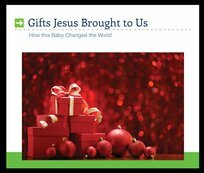 These messages help us grasp the transforming power of the salvation Jesus brought to us. The story of Christmas is ultimately the story of our redemption, a message that transforms us from the kingdom of darkness into the kingdom of light; from the realm of death to the realm of life. While other religions bring rituals and rules, through Jesus we experience love and freedom. Listen to these messages to be blessed and share the Good News with others.